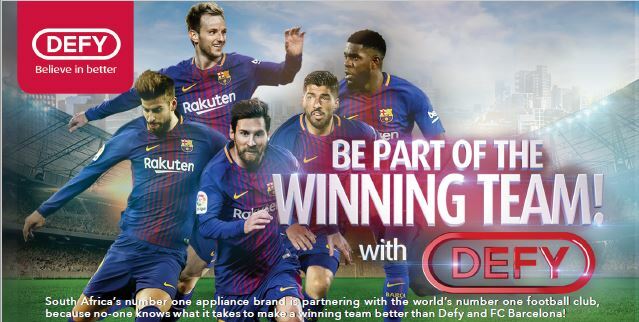 DEFY Appliances (Pty) Ltd is the largest manufacturer and distributor of major domestic appliances in southern Africa. DEFY has offered the consumer a full range of kitchen, laundry and small domestic appliances for over 113 years. Established in 1905, Defy debuted, by manufacturing the very first electric stove in South Africa. In the last 80 years, the brand has further entrenched its footprint in South African households through the manufacture of durable goods such as gas ovens, washing machines, dryers and ovens. This has led to DEFY becoming the largest white goods manufacturer in the country while presenting the largest product range in South Africa. In 2011, Defy was attained by leading Turkish home appliance group, Arçelik. Having operations in durable consumer goods industry with production, marketing and after-sales services, Arçelik offers products and services around the world with its 30,000 employees, 18 different production facilities in seven countries. Our innovation has not gone unnoticed and we have been awarded one of the KZN Top Business Awards, The Sunday Times Top Brands and recently the Ask Africa Kasi Awards, to name a few. DEFY's cooking appliance range is at the heart of our business, our Gemini Collection boasts a sleek and sophisticated new design, coupled with Feast Master Capacity, ideal for bulk cooking. Defy's signature Thermofan Technology allows you to use both baking trays at the same time, cooking multiple dishes simultaneously without any flavour or aroma transfer. DEFY has recently included a stylish range of small domestic appliances that includes a range of blenders, juicers and coffee makers, which is quickly proving to be in high demand. Our cooling range boasts NO FROST fridges with DUAL COOLING technology (to manage the South African humidity, along with better energy efficiency, and odour control, ensuring you have fresher food for longer) and not to mention a 4 star freezer. We are the only brand to have incorporated Blue Light Technology into our side by side fridge freezers, which extends the life of your fresh produce, due to photosynthesis. At DEFY bigger is better, as we boast the largest side by side spanning a full one metre, more than enough space for the big hearty family. All DEFY units offer an "auto defrost" fridge function, which allows units to automatically drain excess liquid. DEFY's well-renowned chest freezer range offers a multi-mode function, allowing you the freedom to convert your unit between a fridge, chiller and freezer. Our laundry range boasts Aquafusion technology in our front loaders, which maximises washing power efficiency, ensuring you get the most out of your detergent. Surf's up with DEFY's Aquawave drum technology, in both top and front loaders, this new technology aids in more effective washing, for those active family needs. At DEFY we believe in innovation through technology; 'We believe in Better'. We endeavour to find solutions to current economic conditions such as electricity and water shortages by engineering products which help you to live a cleaner, eco-efficient life, and reduce your electricity and water consumption.